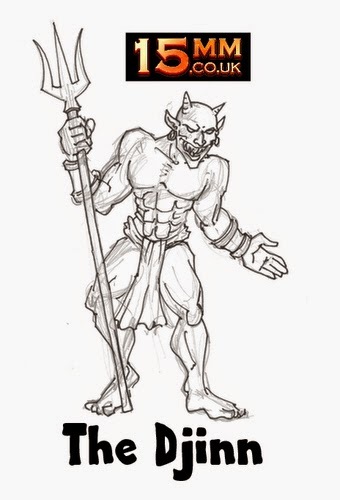 Monster Survey for new 15mm Monsters sent out today! Back in December all of us at 15mm.co.uk made the decision that we would ask our customer base (and the whole 15mm fantasy wargaming community by expansion) this month about our planned expansion to the most excellent hundred code strong HOT 15mm Fantasy range. Its going to be a big year for this range and it begins here with this survey. 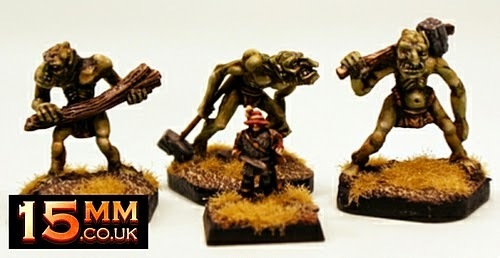 We want to know what wargamers want next in the HOT 15mm range in terms of Monsters. Behemoths, Gods, Giants and Monsters! Those on our mailing list will be getting the special email to reply to today. If you are not on our mailing list (shame on you!) then email me directly on sales@15mm.co.uk asking to be put on it and I will send the special email to you manually during this week. If you don't reply then we won't know and we do want to know what should become a miniature reality. Look to your inbox! We are planning a major expansion of our HOT 15mm Fantasy Range this year with more than a dozen new packs and a part of this is the creation of new Monsters, Creatures and Behemoth codes. We will make the top FOUR requests a miniature reality in 2015 but it may be even more if time allows. Currently we have had over three hundred requests since last month with gamers wanting to get in early so there are already creatures in a ranked list. We have included these requests in requested rank in the email. The top tow currently are shown as sketches in this blog post. The new year is now well under way and with the festivities a memory filed with every other its time to think of the wargaming campaign season ahead. By popular request and as outline in the middle of last month we are offering FREE WORLDWIDE SHIPPING on all orders from now until 9pm GMT Monday 19th January 2015. A week of free shipping! This applies to all of our 15mm Science Fiction miniatures, 15mm Fantasy miniatures, 15mm Historical miniatures, rule books, dice, bases and everything else on the website. So if you are a fan of Laserburn, HOTT, ASQL or any other 15mm system you will find lots to interest you. Go HERE and then browse to your chosen pages on 15mm.co.uk. Free Worldwide Shipping Week: From Monday 12th January 2015 until 9pm GMT Monday 19th January 2015 we will remove the postage for standard UK and International Airmail and replace them with FREE SHIPPING on all orders. Place an order as normal and select free postage during checkout and there you go! You need enter no code or anything just select free postage in your world region on the third page of the checkout. This applies to all orders of all values and as many orders as you like worldwide. You may still elect to choose 'signed for shipping' at the normal pricing (10.00GBP per order). 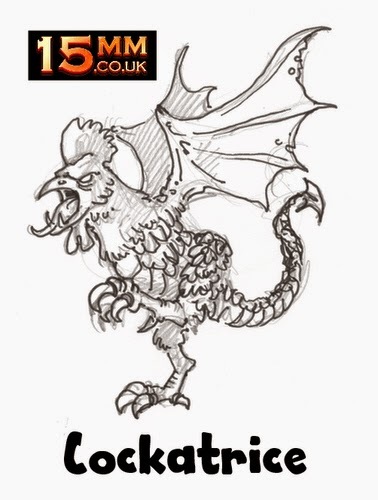 Monster Customer Survey by Email: We are planning a major expansion of our HOT 15mm Fantasy Range this year with more than a dozen new packs and a part of this is the creation of new Monsters, Creatures and Behemoth codes. We are going to ask for our customers input in this directly. Almost all the releases in our HOT range are based on wargamers requests but this is a new thing for us to ask directly. We will make the top FOUR creatures a miniature reality in 2015. So if you are not on our Mailchimp list email us on sales@15mm.co.uk asking to be put on it. The survey will be sent out in late January 2015 and all you will need to do is read it and then reply with your choices. Currently we have had over two hundred requests since last month with gamers wanting to get in early so there are already seven creatures in a ranked list. We will include this in the survey when it goes out so you can see what is already being thought of. There will be other offers and of course releases detailed in future emails so it is well worth signing up.